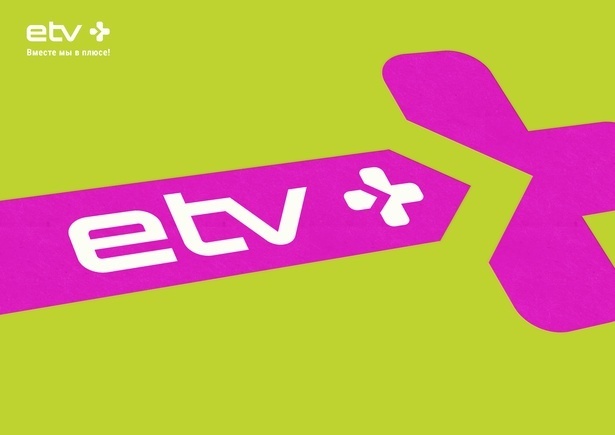 etv+ is a new state funded TV channel for Russian speaking audience in Estonia, which launched in the fall of 2015. 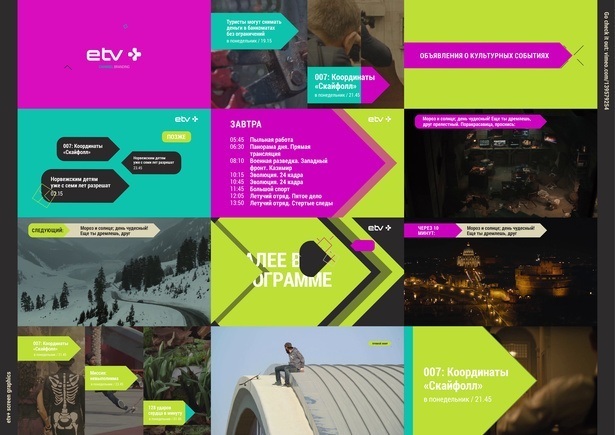 The slogan for the channel is “Вместе мы в плюсе!“ which roughly translates to "Together we can make a positive impact!". The visual identity was created from this core idea. The challenge was to make an energetic, vibrant, positive visual system which could be easily implied from promotional animations to screen graphics and outdoor advertisements. 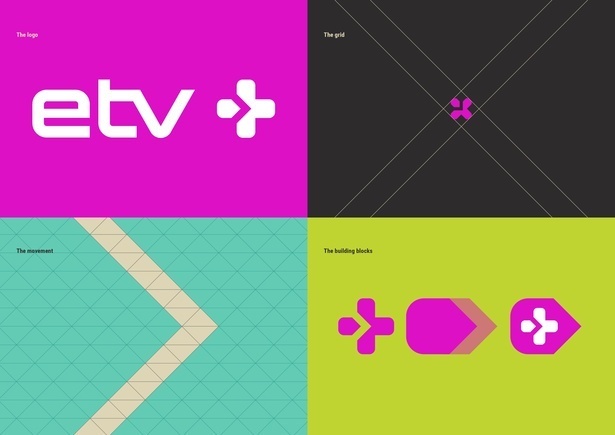 All the visual elements starting from the logo and ending with channel animations symbolize merging of different elements to form a plus sign. 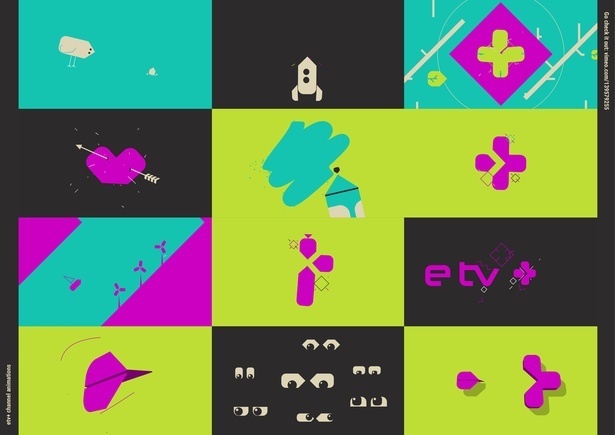 The vocal points of this visual identity are the screen graphics and animations.